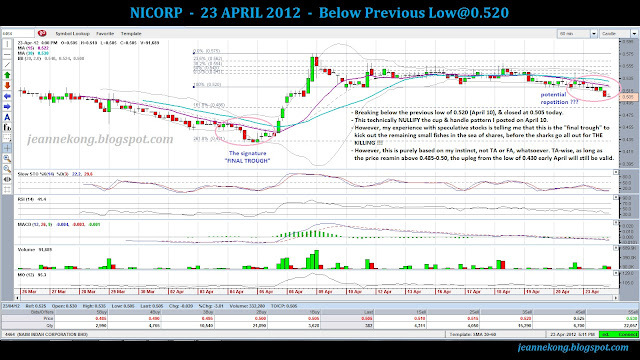 NICORP opened higher at 0.530 but closed at the low of 0.505, which makes a lower low from the previous low of 0.520 on April 10. 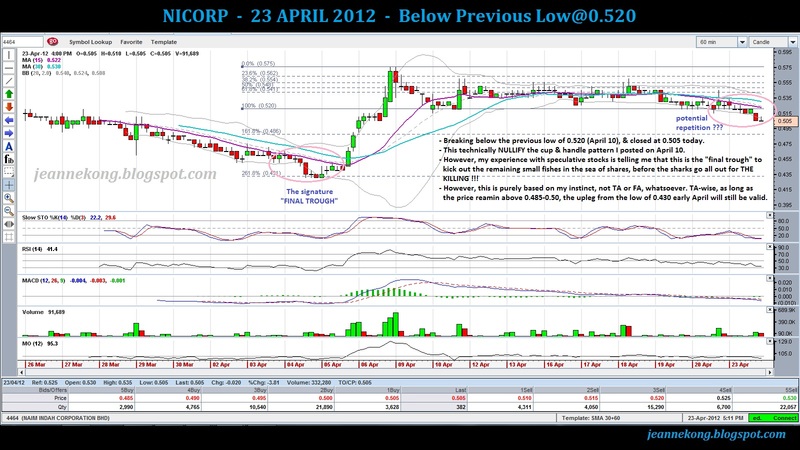 This nullify the breakout pattern I mentioned on my previous post ---> "NICORP - Saucer in Formation". More elaborations on the chart. Let's see if I'm right about THEM!